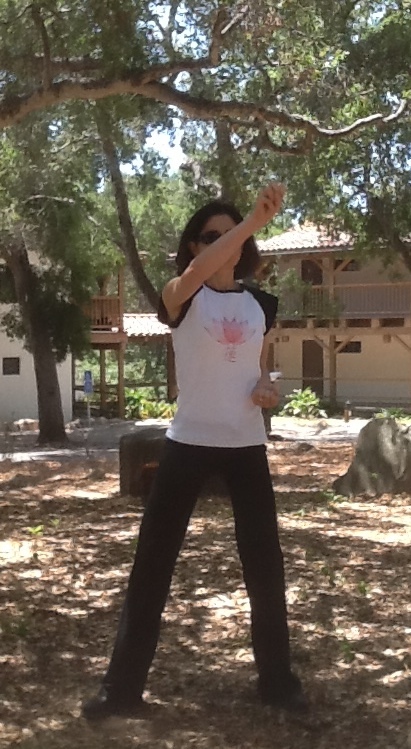 2-days Health Qigong Workshop with Adina ! Qigong and Tai Chi Practice: We will introduce the practice of the Vitality Enhancement method (Bu Zheng style) and the Alchemic Nine Phases. We’ll learn the Guo Lin breath (from the Guo Lin cancer-recovery program), body self-massaging and tapping, Ringing the Temple Gong and Beating the Heavenly Drum methods, then we’ll discover the Qi, gather the Qi, circulate and purify, direct and conserve, store and transform, ‘polish the pearl’, and finally dissolve in the Qi. We will feel the immersion and discover our true eternal nature. Presentation and Study: We’ll explore the legend of the Golden Elixir of Eternal Life, going deeper into the old verbally-transmitted teaching and practice coming from the Oriental wisdom. We’ll discuss the broader philosophy and archetypal human mythology related to the life of an ascending person, and we’ll look at parallels and connections with similar mythology systems that centered around the “inner elixir” concept – known as “Ambrosia” in the Greek mythology, “Nectar” in the Latinised version, “Soma” in the Vedic traditions – which were all thought to confer “immortality” or “Amrita” to the “Gods” or to the “ascending seekers” of spirituality. We’ll re-discover the “inner elixir” concept as being the most highly refined essence of self, our “true nature”, expressing the profound truth of eternal being. This workshop will introduce the basic and fundamental concepts of Neidan, or Internal Daoist Alchemy (lit., “internal elixir”), called “The Way of the Golden Elixir” (jindan zhi dao) – aimed to produce the “elixir” within the alchemist’s person using the primary components of the cosmos and the human being as ingredients. Neidan integrates spiritual teachings on the Dao with descriptions of physiological practices. Daoist Alchemy has a history of more than 2000 years, recorded from the 2nd century BCE to the present day. 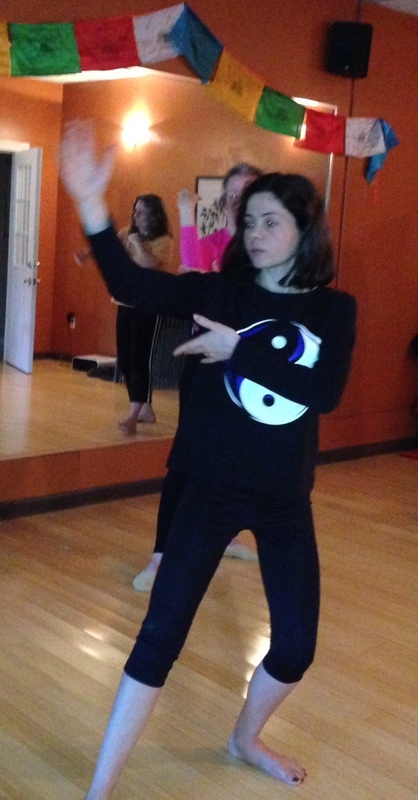 Qigong and Tai Chi Practice: We’ll tell the story of the spiritual seeker and we’ll build up the practice around it, learning the “7 Precious Gestures” Qigong form. Presentation and Study: During this Workshop we will study the Six Healing Sounds in association with the Five Elements and the physical body system. The theoretical basis of the Six Healing Sounds exercise is in line with the Traditional Chinese Medicine theories and it helps to regulate and control the rise and fall of Qi (vital energy) through the inhalation and exhalation of the Six Healing Sounds. During the practice, the direction of body movements and mind follow the inner circulation law of the meridians. While helping to balance the energy and functions of the internal organs, the form also brings calming and stress-release effects. 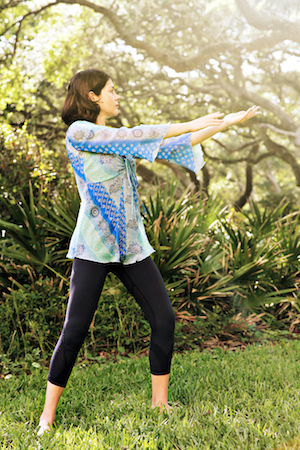 Qigong and Tai Chi Practice: We will learn the Qigong form that completes this traditional powerful self-healing system. The practice involves the coordination of movement and breathing patterns, featuring slow, gentle movements that are safe and easy to learn and are suitable for people of all ages and in all conditions of health. We will finish the practice with the Emotional Healing Meditation, using our Breath to balance the Emotions associated with the Five Elements and Five Major Organs of the body. We will fill the body with healing emotions, and we’ll let go of the emotions that don’t serve us. We will find peace and serenity and rediscover our true nature !